If you read through the section relating to your question and are still not sure of the answer, ask us! Our Fitters are here to help. Feel free to send them an email with any questions on orders, products, our website, or Gaynor Minden in general. Or send feedback! We’d love to hear from you: fitters@dancer.com. Where does Gaynor Minden ship? We ship all over the world from our warehouse in the United States, but because of import duties and taxes it is often easier for customers outside of the U.S. to purchase from a local retailer. To find a store near you, please use our Store Locator. Tell me about shipping in the United States. We offer a number of shipping speeds from Standard (3-10 business days) to Rush (2-3 business days), because sometimes you can wait and sometimes you can’t! The cost will vary based on where you are, the shipping method you’ve selected, and how much you’re ordering. Keep reading for more details about international shipping. Please note: “shipping speed” and “production time” are separate things! If you place an order for a backordered, special order, or made-to-order shoe and select a Rush shipping method, your entire order will ship by that method in 5-7 weeks. *Important Note* Your entire order will ship together in one shipment. If you are ordering multiple items, your order will ship when all items on the order are ready to be sent. If you’d like to split your shipment to send items that are in-stock right away, please email us at fitters@dancer.com and we can help you! Shipments that are split will likely incur an additional shipping charge. P.S. Standard shipping in the U.S. is free when your order total is $175 or greater. This does not include Puerto Rico. What about Alaska, Hawaii, and Puerto Rico? We offer Standard (7-10 bus. days), Expedited (4-6 bus. days), and Rush (2-3 bus. days) shipping speeds to these locations. Cost will vary based on the shipping method you’ve selected and how much you are ordering. Here’s how it works: You order, we process, make shoes, pack your order, and then ship. Ordering takes a few seconds. Processing takes 1 to 2 business days (all web orders are processed on the following business day, orders from Friday get processed the following Monday). If your item is in stock, it normally ships within 1 or 2 business days. If your item is backordered, you should receive an email from one of our Fitters with an updated ship time. Please remember that the 1 to 2 days for processing and shipping are separate from production time. Backordered/special order/made-to-order shoes will take 4-5 weeks for us to make, even if you have selected an expedited shipping method. And one of our carriers takes it from there—it’s on the way! Sorry about that! Occasionally, the carrier takes 1-2 business days to register your shipment status. If your tracking number isn’t updating or working at all, please reach out to us at fitters@dancer.com. We can give you the inside info. If your order is shipping to an incorrect address, please email fitters@dancer.com or call 212-929-0087 x12 as quickly as possible. I have a question and I want to talk to a person about it. Tell me about shipping to Canada. We offer one shipping speed to Canada: Standard (5-10 business days). The cost will vary based on how much you are ordering, starting at $20 USD. Shipping to Canada is fulfilled via USPS. Please allow 1 to 2 business days for us to receive and process your order. You’ll see the total cost of your order (NOT including duties and taxes) during checkout. Your payment method will be charged in U.S. Dollars (USD) according to those charges. Do you ship to Canadian P.O. Boxes? Tell me about shipping to other locations outside the United States. We offer International shipping via FedEx, which can take anywhere from a few days to a few weeks depending on your location. Price will vary based on how much you are ordering, starting at $30 USD. Please enter your CPF number in the Order Notes box at checkout. No. If your order is subject to duties, taxes, or related fees, you’ll be charged when your package arrives at Customs in your country. How can I change the country (currency) I am shopping in? Currently, we offer shopping online only in U.S. dollars. Of course! You can make this change on your Account page. We accept Visa, MasterCard, American Express, and Discover credit cards or debit cards. We process payments in USD on our website. Make sure your card’s billing details (such as the security code and billing address) match what you’ve entered into our system exactly. Your card issuer may have declined your payment. They don’t tell us the reason for this, so it’s best to check with them before calling us or trying your card again. If none of these apply, please contact us at fitters@dancer.com. We’re happy to help! Good news! An account is automatically created for you using the billing email address and the password you enter at the end of the billing section. If you are returning to the website after a purchase, you can use that information (email + password) to login either on the My Account page, or from the checkout page. If you have purchased anything from our website after May 2015, you have an account. You can login using your email address and password you entered at checkout. Oops, that happens to all of us! If you don’t remember your password and need to reset it, click here. P.S. If you enter an email address to reset a forgotten password and get an invalid email error message, that means we do not have an account associated with the email address you are entering! Please double check your spelling, or if you’re absolutely positive you have an account, try a different email address (make sure you’re using the email address you entered in the billing email field when you made your prior purchase). Help! I’m having trouble placing an order/adding a shoe to my cart. If you’ve reached the end of the page while ordering pointe shoes and there is no “Add to Cart” button showing up, this can be fixed by zooming out of your browser window. On a Mac? Press Apple (or Command) and – to zoom out. On a PC? Press Ctrl and – to zoom out. If you’re having trouble entering information at checkout, please clear your cache/cookies/browser history, re-start your browser, and try your transaction again. If you have taken the above steps and find you are still having trouble, please either email fitters@dancer.com or call 212-929-0087 x12. We’re happy to take your order over phone or by email, and additionally we will need to gather some more information from you to help troubleshoot any problems on the site. Help! The special I used to be able to order on the website isn’t available anymore. Some special orders require a little further handling! If the option you’re looking for isn’t available on the website, we ask that you please email us at fitters@dancer.com so we can help you with your shoes. Please email us at fitters@dancer.com as soon as possible if you would like to cancel or change your order, and we’ll do our best to process your request. I’ve been told my order was cancelled, but I’m still seeing a charge on my bank statement. Pending charges can take up to 5 business days for your bank to clear. If you’re still seeing a charge from Gaynor Minden more than 7 days after you cancelled your order, please contact us. It’s best to email us at fitters@dancer.com to check the status of an existing order. Seeing a “Completed” order status on the “My Account” page does mean that we have your order, but it does not mean that it’s been charged or shipped yet. You can use a promo code along with our “free ground shipping in the U.S.” offer as long as your order total is greater than $175 after the promotional discount has been applied. Other offers advertised on the website without a code will be automatically applied and cannot be used along with a separate promo code. If you’re having trouble using a promo code, please email us at fitters@dancer.com. We’re sorry you didn’t love your Gaynor Minden item. Please reach out to returns@dancer.com with your order number and the products you’d like to exchange or return, and we’ll take care of the rest. Don’t worry — if you’ve ordered directly through us (by phone or email, online at dancer.com, or in our boutique) we have a record of your purchase! Just reach out to returns@dancer.com and we’ll help you place your return or exchange. We will gladly accept returns for exchanges or refunds for products purchased directly from us as long as they are spotlessly clean and in new condition. Special orders and shoes that have been scuffed, danced in, had ribbons or elastic attached, or have had the ends of the drawstring pulled through will not be accepted. Additionally, any item where “This item is final sale” shows once you’ve selected your size and color is final sale and not returnable. Items returned for a refund must be received at Gaynor Minden within 30 days of the date they were received. Exchanges may be made within 60 days of the date you received your items. Credit card refunds can take 5-10 business days from the time we process the refund to appear on your statement. If you received a product different from the one that you ordered, we apologize! Please contact us at returns@dancer.com and we’ll be sure to get you the Gaynor Minden item you ordered. How are Gaynor Minden products different from those of other brands? Our products reflect our belief that dancers are athletes as well as artists, who deserve the absolute best items to support the work they demand of their bodies. They are designed by people who know what dance demands because they were once dancers themselves. They represent fun and freedom, and are often the result of recommendations from the best dancers (and some of the coolest people) on the planet. We launch new products throughout the year — sign up with your email address here to get the latest updates. You can always check out our “Coming Soon” page! It will showcase any products arriving within the month. Why isn’t a certain product available in my country? If your local Gaynor Minden retailer doesn’t carry a product you’re looking for, ask them for it! Often, stores are carrying what they think their clients want. If you don’t tell them that they’re missing something you want to purchase, they’ll never know! All authorized retailers have the ability to order to any product that we offer. As a second resort: you can purchase any item we make directly from dancer.com (see above for information about international shipping). 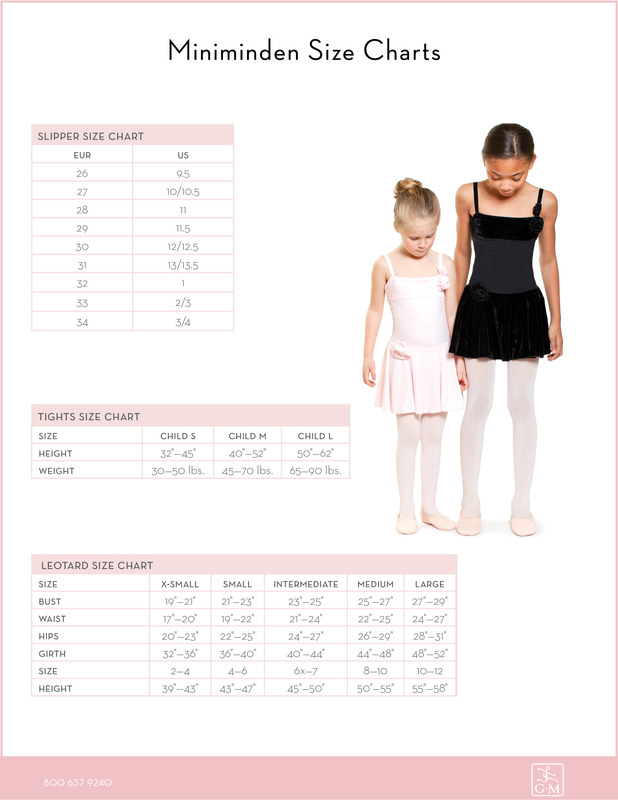 You can learn all about our non-pointe shoe items on their individual product pages! You can learn more about our pointe shoes here. 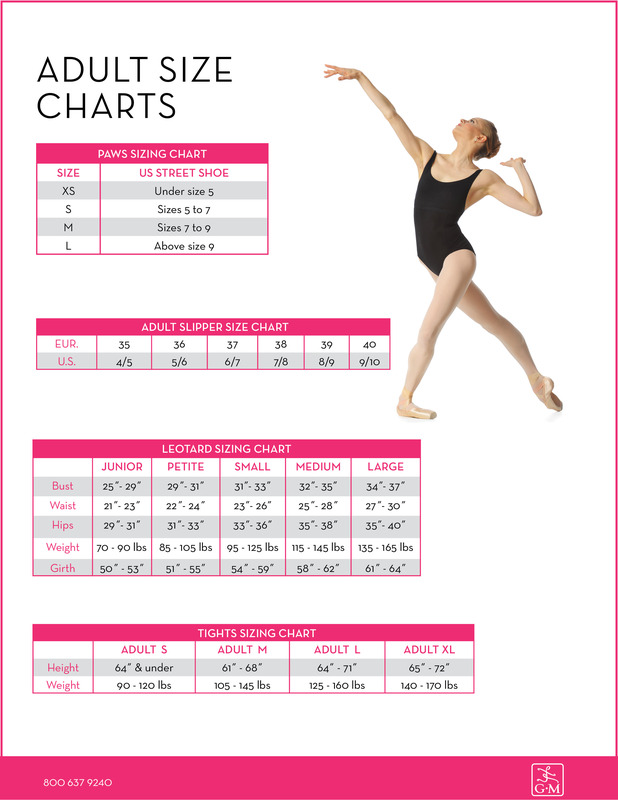 You can also find our pointe shoe FAQ here. The best way to figure out what size you should order is with measurements! Check out our adult sizing chart. We even have one for our miniMinden items here. They’re super helpful. Once you place your order, allow 1-2 business days for us to process. If your item is in stock your order should ship out within 1-2 business days. How long it takes after that depends on the shipping method you selected. we will send you an email regarding the wait time. It’s a good idea to watch for emails from fitters@dancer.com in the first few days after placing your order (and to check your spam folder to ensure they haven’t landed there!). If your item is backordered and our fitters don’t get any response after multiple attempts to contact you, your order will be canceled. I need my shoes faster than your current backorder time. What should I do? If your shoes are not a special order, we highly suggest calling your local store(s) to see if they have your size in stock. Don’t know where your closest store is? Check out our store locator. If you do need a special order size, or if you’ve already tried your local store, give us a call or email fitters@dancer.com. We may be able to recommend a similar size that is in stock and available. We cannot usually accommodate rush requests. However, if you know that you need shoes by a certain date (ex: a performance or audition) please let us know that when you place your order and we will do our best to get you shoes! What if I don’t know my pointe shoe size? If you’re new to Gaynor Minden, welcome! We’re so excited you want to try our fabulous shoes. The best way to find out your Gaynor Minden size is to be fit in person by an experienced, professional fitter. Use our Store Locator to find an authorized retailer nearest you. Are you in the NYC area? Come visit our Boutique! Please make an appointment for a fitting by calling 212-929-0087 x12, or emailing fitters@dancer.com. No authorized retailer near you? Let us fit you! Once we receive your information, we can make a size suggestion for you. Please note that because we are not fitting you in person, we cannot promise that this suggested size will be perfect. But our fitters are pretty skilled at this after 25 years in business, and it’s almost always a good starting place! You could also take your suggested size to a local store to try the size on before purchasing it (and support local business at the same time). If you’re currently wearing Gaynor Minden pointe shoes, you can find your size stamped on the inside of your shoe. Your purchase of Gaynor Minden products from our website is only for your personal use. If you’re interested in opening a wholesale account, please email wholesale@dancer.com. I have a question about a product and want to talk to a person about it. Gift cards are available here. Gift cards purchased through our website will be digital, and sent to the buyer by email. If you’d like a Physical Gift Card, please email us at fitters@dancer.com. P.S. Gift certificates expire one year from the date of purchase, and the full amount of the gift card must be used at the time of redemption. If you have received a Digital Gift Card by email, note your gift certificate number (GC____). Select the items you wish to purchase, and add them to your cart. Enter the gift certificate number in the Coupon Code box on the Cart page. Tell me about your Boutique. Our boutique is located at 140 West 16th Street (between 6th and 7th Aves) in New York City. It’s located in a historic brownstone building, so you won’t see a sign out front. But don’t worry — you’re in the right place! Walk through the front gated doors (they’re open) and buzz 1E. We do ask that you make an appointment for a pointe shoe fitting by either calling 212-929-0087 x12 or emailing fitters@dancer.com. If you don’t need a fitting, come by anytime we’re open! See boutique hours here. Do you charge for fitting appointments? What types of payment do you accept in the boutique? We accept many forms of payment, including: cash, Visa, MasterCard, American Express, Discover, and Diner’s Club credit cards or debit cards. We process payments in USD. Do you stock every Gaynor Minden item in the boutique? You can purchase anything that is for sale online in our boutique. Because there’s never enough space in New York City, our stockroom size is limited. For that reason, if you know exactly what you’re looking for it’s a good idea to call and ask if we have it in stock before you make the trip! How do you choose your Gaynor Girls/GM Artists/GM Icons? Each year, we conduct an international search to find our Gaynor Girls. We look for highly dedicated young dancers (ages 14 and up, includes students, second company members, trainees, and apprentices), who wear Gaynor Minden pointe shoes exclusively, and are active on Instagram. Other ambassadors come to our attention in a number of ways. Gaynor Minden Artists are well-established Principals and Soloists at companies around the world, and their agreement with us has a social media obligation. Gaynor Minden Icons are world-renowned Principal dancers at some of the world’s best companies. I want to be a Gaynor Girl/GM Artist/GM Icon. What do I do? Wonderful! We love meeting new, talented dancers who are committed to our brand. Gaynor Girls – Click here for the most up-to-date application information. Make sure you’re following @gaynorminden on Instagram. Gaynor Minden Artist or GM Icon – Please email ambassadors@dancer.com with your full name, age, Instagram account, headshot and dance shot, as well as dance resume, current company, and position. How do I know if I was accepted? Gaynor Girls who have started the application process will be notified of their status via email at each round. We respond to all other inquiries as quickly as possible, but only sign new Artists in January of each year. We take into account not just the talents and accomplishments of each dancer, but also her company, geographical location, and number of followers in the dance world.